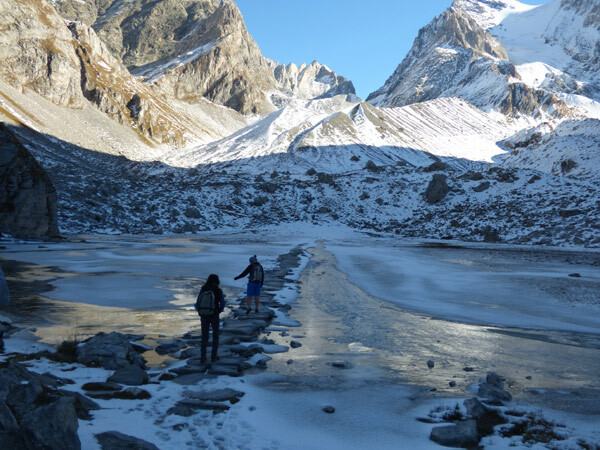 Come enjoy nature, wild and varied over 2000 m of uneven. 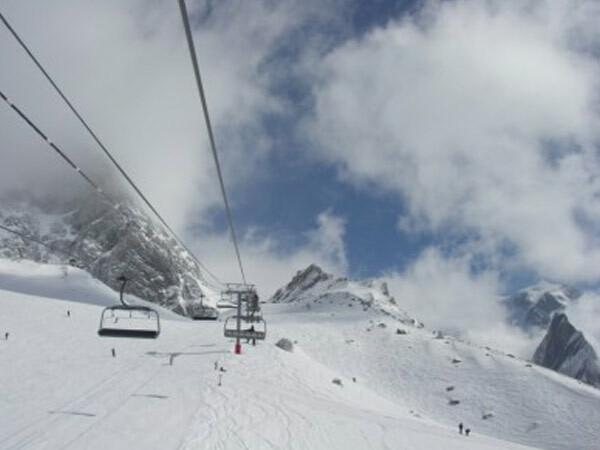 From one slope to the other of the domain, the cable car will take you from Mount Bochor to Isertan, passing by the “Combe à l’eau” and the Pariettes, let yourself be dazzled by the glide at altitude or through our scintillating forests of pines cembro and larches. 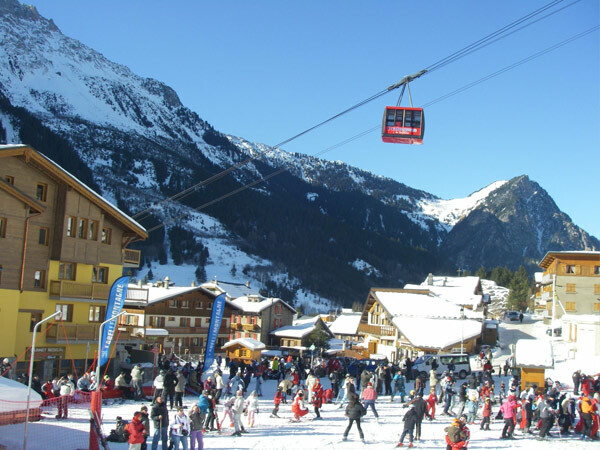 Enjoy all the ski slopes, without waiting at the ski lifts. 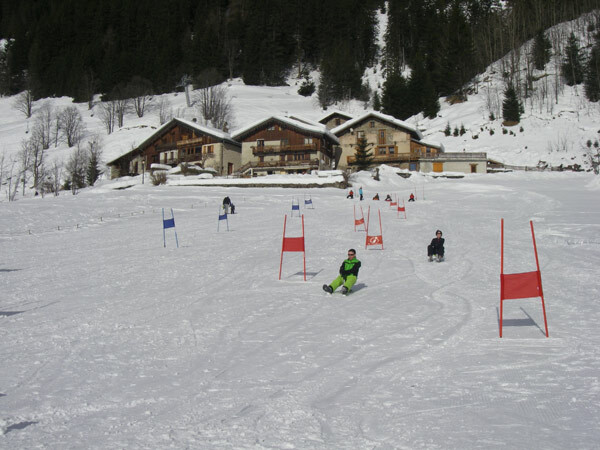 Slip at your own pace, to the top of the slopes, accessible even to beginners. At the foot of the domain, everyone can progress safely, thanks to a park of specially adapted lifts. Want to make your style speak? 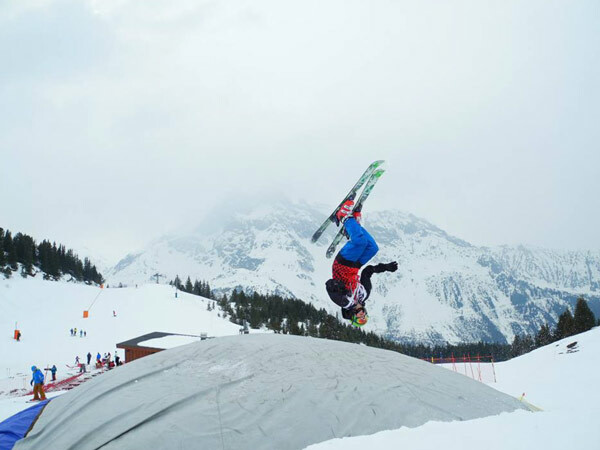 Our snowparks and fun sliding areas await you. For cross-country skiers, from the Chavière’s valley to the refuge of the Roc de la Pêche, you will find paths all traced. Winter, happiness is shared with the family: from the smallest to the least experienced to reach the summits. 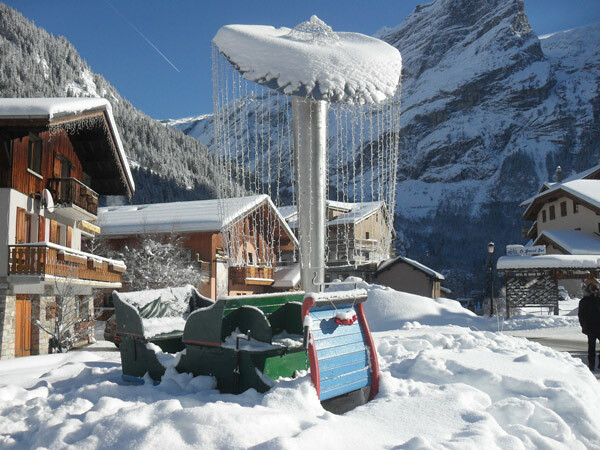 For non-skiers, there are magnificent snowshoes walks in the forest or on the massifs in a sparkling natural setting. It is the lung of the Winter in Vanoise! THE NATIONAL PARK OF THE VANOISE, PLEASURE FOR ALL THE SLIPS! "The nature skiing is here and nowhere else" in the Parc de la Vanoise, an exceptional playground, the first in France is a protected natural space with free access to all. Welcome to skiing enthusiasts ... and a warm atmosphere. Your land of escape. Dedicated to lovers of beauty, pure. The true Savoyard spirit! Many walks in snowshoes or sled dogs are to discover with your family at your own pace, visit a goat farm, or simply share the moment: village festivities and savoyard pleasures of the table. You will also find a children's club from 6 months to 6 years old, in the village center. EMOTIONS « A FLEUR DE NEIGE »! The Olympic Winter Games in Albertville, remember! In1992. 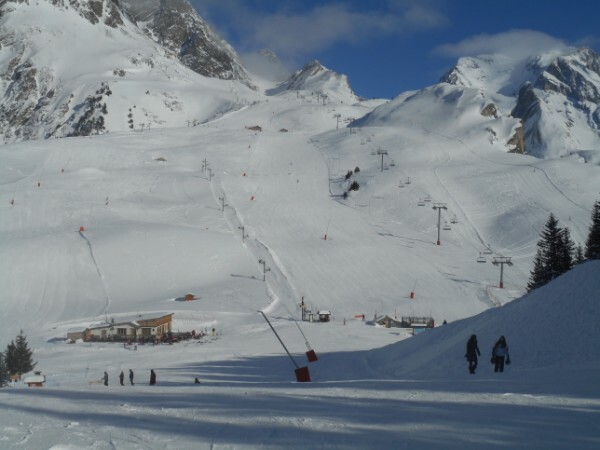 PRALOGNAN-LA-VANOISE was present and has today an important sports complex. Every week, you can initiate yourself at the polar base, with sled dogs, on the plateau or in the valley of Chaviere. 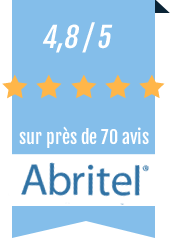 ALPINE SKI: “GREAT SKIING” FOR ALL! Whatever your level, your style of gliding or your desires, everywhere, you are at home! 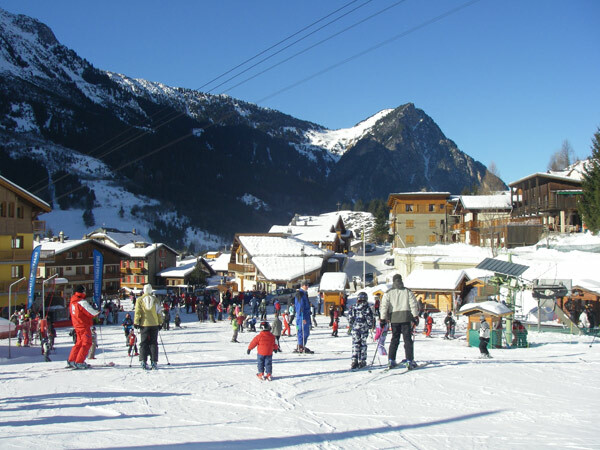 The ski area of Pralognan extends from 1,400 m to 2,800 m altitude. 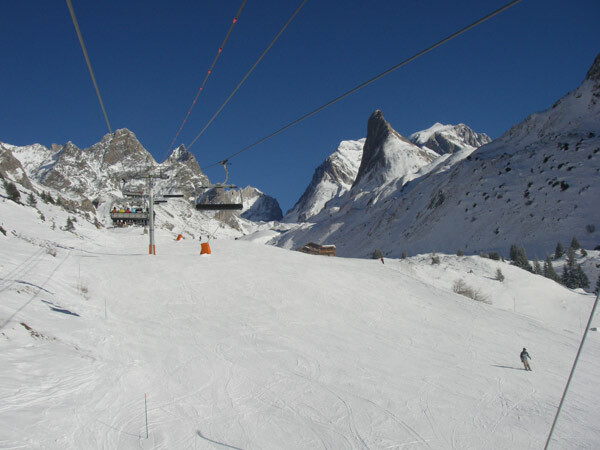 Because of the proximity of the glaciers of the Vanoise, its snow is of high quality. In addition, artificial snow is provided with more than 50 snow guns, from 2350m to the center of the resort. THE SCHOOL OF SKI, SKY LIKE YOU LIKE, IN FRONT OF OUR FLAT! The French Ski School of Pralognan la Vanoise (ESF) has 70 instructors (the famous red sweaters) including 4 for Nordic skiing. It welcomes children from 4 years old.The booking of ski lessons is strongly recommended, especially during school holidays. NORDIC SKI - TRAILS DOGS, VISIT TO YOUR RHYTHM! Between a large plateau and magnificent panorama, Pralognan la Vanoise is a high place of Nordic skiing and is the 4th most important site of Savoy. 26 km of marked trails are traced between coniferous forests, hardwoods and vast snowy plains as well as on the plateau of Pralognan as far as the Chaviere’s Valley. They are doubled in their majority of winter footpaths accessible by snowshoes. For the happiness of all, even more change of scenery, the sled dogs with their mushers are present. SKI HIKING, THE HUGE’s EMOTION I IS WAITING YOU! The refuge of the Col de la Vanoise, from the end of March. LEISURE AT THE TOP, THE TASTE OF AFTER SKI! At Easter, every year, from the village to the Vanoise path, a day in snowshoeing or ski touring, in costume of yesterday or today. Guaranteed humor and joy. Fireworks at St Sylvestren the New year. 400 dogs with the best muschers in the world in a festive context, a very great show! 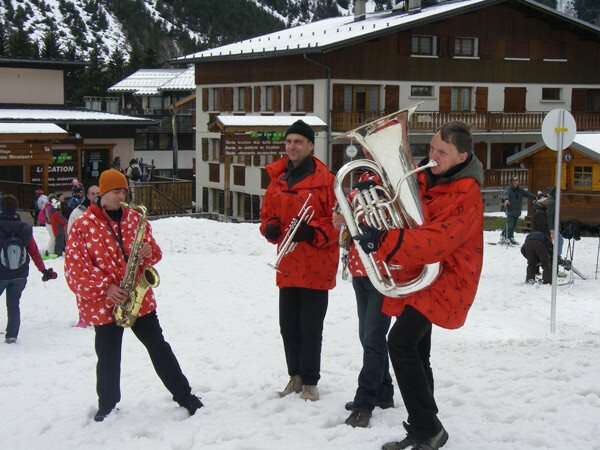 3 festive days to fill up with humour, in a good mood and joy in conviviality!